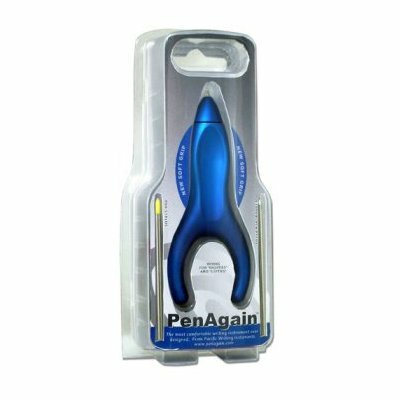 Ergo-Sof PenAgain ergonomic design allows the natural weight of your hand to apply writing pressure, so there’s no need to grip tightly. Most comfortable writing instrument in the world! 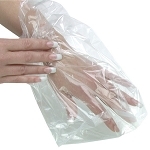 Rubber coating is comfortable to hold. Tension free writing with "No Grip" design. Works for "Righties" and "Lefties. 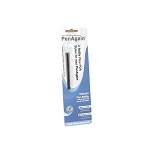 The Ergo-Sof PenAgain is an ergonomic writing pen with a soft silicone coating that adds extra comfort. 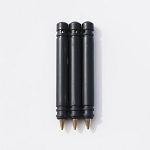 The "Y"-shaped design helps to reduce the need to squeeze the pen tightly when writing, and decreases gripping strain. The Ergo-Sof PenAgain has an ergonomic index finger cradle which allows the natural weight of the user's own hand to gently rest. Pressure is applied to the writing surface with gravity, instead of pressure from the fingers. 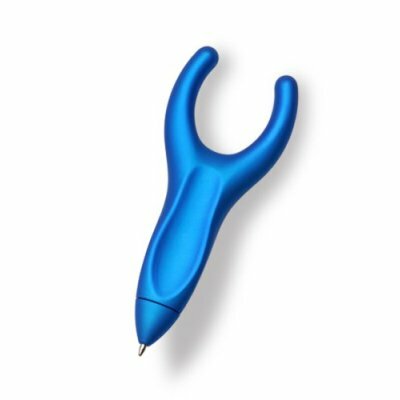 The pen helps to steady the hand and actually engages the whole arm in the writing process, greatly reducing hand fatigue. People with Arthritis, Writer's cramp, Carpal Tunnel Syndrome, calluses, RSI, and hand weakness will find the PenAgain provides increased comfort for writing. Measures: 4 inches long, 1-3/4 inch wide overall. Refills: Available. Package of 2 #APW300R. I was so happy to be able to find this pen once again. I had used them in the past and they were so helpful for me. When I saw them on your website I knew I had to order some. 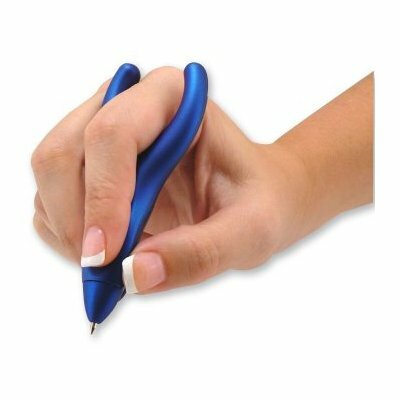 These work great for anyone who has arthritis in their hands and have trouble writing. I would highly recommend them. Now maybe I can write so someone can read it. So thankful I found your company. I have found the Ergo-Sof PenAgain to be the only pen that I can use with my dystonic hand tremor. The pen fits easily in my hand and it allows me to stabalize it with my left hand when I write to control the tremor. I would be lost without this pen. I have 4 of them so they are always available for my use. I love my new pen. I have RA and my hands lock up when I write for very long. This pen is very comfortable, writes well and gets lots of attention when I use it at meetings! This pen has worked very well for me. It is very comfortable. It writes well. A great help for writing with my arthritic hand. Wanted to try this pen because I have arthritis in my knuckle on my index finger. When I write a lot it's painful. I am sorry to say that I haven't been able to find a comfortable position to hold this pen to write. I'm not able to use it to write with. I will keep trying and perhaps it will get better. Q: I can't remove the used ink cartridge from the pen to replace it. How is this done?? 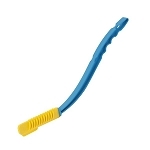 A: The tip twists off allowing the ink cartridge to be replaced. Q: Does this pen come in blue ink? A: The Ergo-Sof PenAgain only comes in black. You may be able to find the blue ink refills at an office supply store. We only carry the black refills. Q: Are refills available for this pen? Q: Can you please email direction that show me how to change the refill cylinder when I run out of ink? 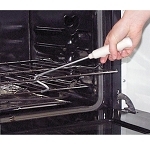 A: Slide the tip off of the Ergo Sof PenAgain to insert the ink refill. Q: IS THIS A GEL PEN OR A 'BALL POINT PEN"? Q: Can you add a pen to this holder? Q: Can I get this pen with gel ink and in multiple colors? Q: Do you accept workers compensation payments for this item? I have a rx for this pen from my doctor? A: No, we do not accept insurance or third party payments at this time. A lot of our products are generally reimbursable though, especially if you have a prescription. Your insurance company should be able to provide you with a reimbursement form.